Our team provides a customized haircut with a thorough consultation to provide you with the perfect end result. 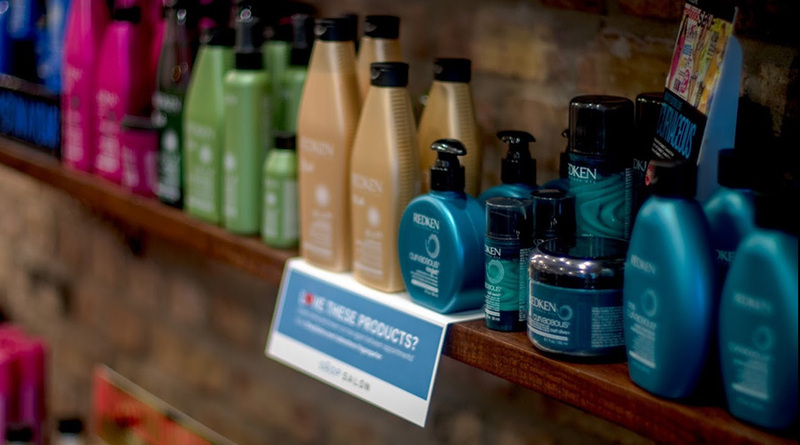 We offer premium services by our team of Redken-certified hair colorists. Our team has exceeded industry standards by participating in extensive advanced training in the color line they work with. We deliver customized hair plans that will lead you to achieve healthy color changes. Custom blended conditioning treatments and bond protecting services are included in your quote to receive the best long-term results. Your blowdry style is included in the cost of your full color service. Our team provides a consultation, relaxing shampoo, deep conditioning treatment, and scalp massage with each coloring service. Any softened, dusty hue or bright, vivid color you choose. Achieved when applied to very pale blonde hair. Deepen specific pieces to create dimension. Semi-permanent color to enhance, enrich, match, tone down, or intensify natural or color-treated hair. Permanent color, a glaze, highlights/lowlights without toning, or a creative color service with only one process. Free-hand hair painting of color, lightener, or toner directly on the surface of the hair, resulting in a soft, natural effect. Isolate select strands to make them lighter than their base/natural color. Bring hair back into balance with the combination of highlights and lowlights, and/or glazes. First color service, wash & dry, and overlay of a second color. Final prices will be determined by your consultation. We use GiGi Wax, which is gentle on all skin types. Four to six weeks outgrowth is recommended for a smooth, long-lasting treatment. re-conditioning, mineral removing, and massage treatments to reinvigorate and moisturize your hair and scalp. See treatment menu for offerings. Formal styles, textures, and traditional or airbrush makeup services are available upon request. Consult your stylist for more information.